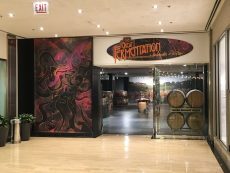 During the holiday season of 2017, wine connoisseurs came together to educate common wine drinkers with an experience they called The Great Fermentation. 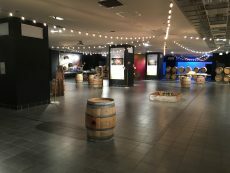 Hosted at Chicago’s Water Tower shopping center, this pop up shop invited people to experience a full-sensory wine tasting and offered a range of activities meant to teach them about what makes each wine unique. 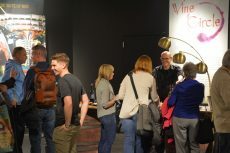 Once they understood why they liked certain types of wine, participants could then sign up for a subscription to receive wines that suited their tastes. 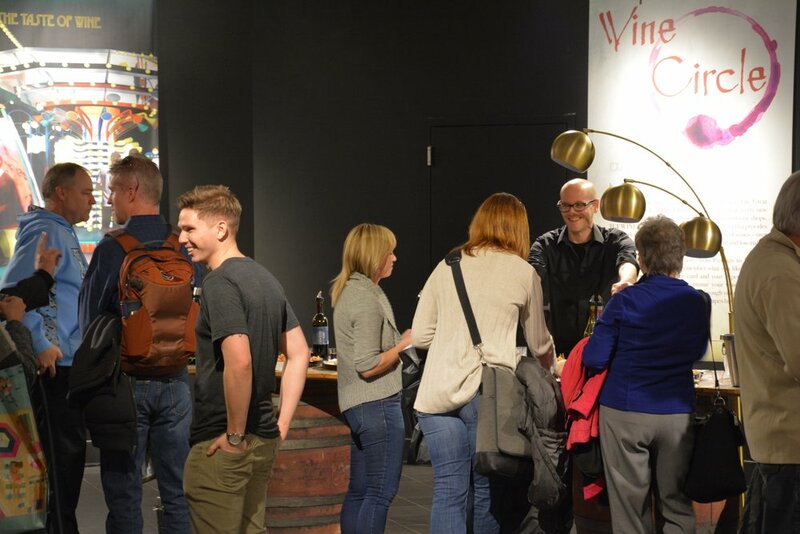 Guests played games, sampled foods, and took a virtual 360 tour of a vineyard in Tuscany with the help of VR technology. 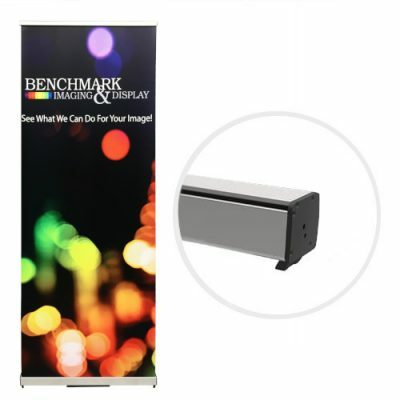 Benchmark Imaging & Display was there, but not only for the wine. Geoffrey M. Curley and Shane Spaulding, the minds behind the project, called us shortly after they’d landed at O’Hare to tell us that they needed a lot of graphics—fast. 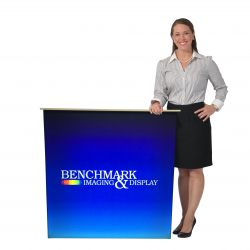 Despite the short turnaround time during a holiday week, Benchmark was able to bring their ideas to life. 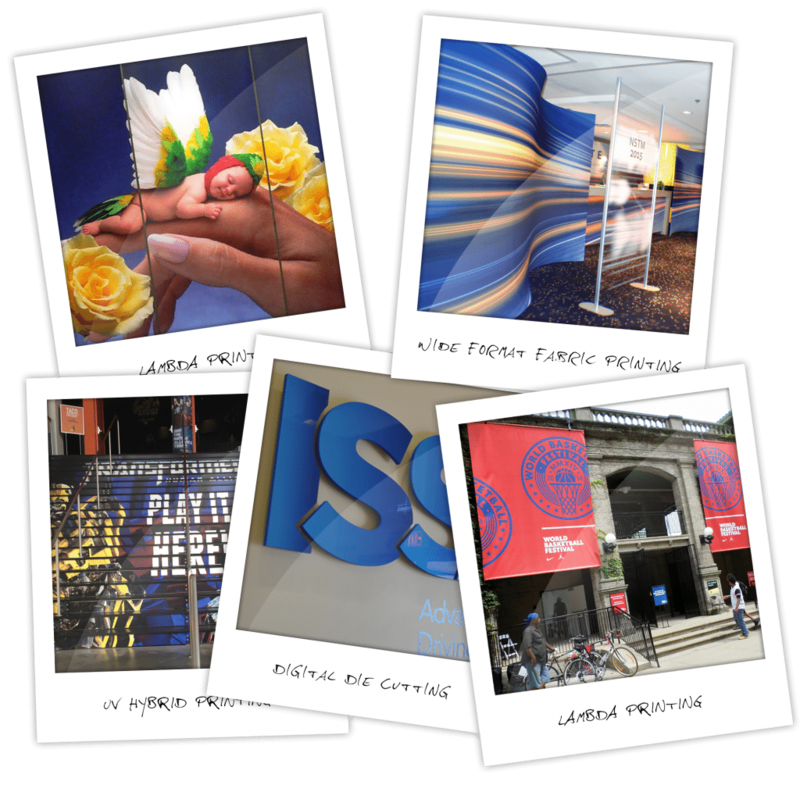 For this job, we printed a variety of different graphics to fulfill different needs for the space. We produced oversized custom cut sintra signs, one of which was mounted above the installation’s entrance. The columns and walls were decorated with reusable hanging vinyl graphics providing the otherwise stark space with visual interest and color. At the center of the room was a large, empty wall that Geoffrey and Shane wanted to use as a photo-op space for their patrons. Their concept was to bring the vineyards to the consumers. 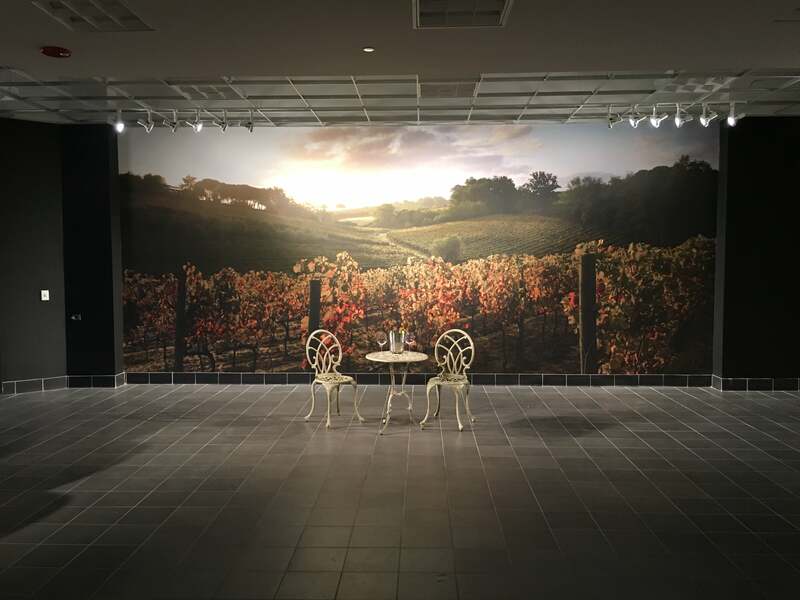 To accomplish it we broke a single large landscape scene into six different matched panel graphics and printed them on heavy duty vinyl wallcovering. Once installed they created an 11ft. tall by 25ft. 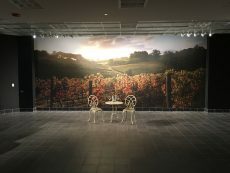 wide seamless image mural of grapes basking in sunlight, TheirIt transformed the dull space had been transformed into a focal point that could be seen from outside the venue through their glass doors. 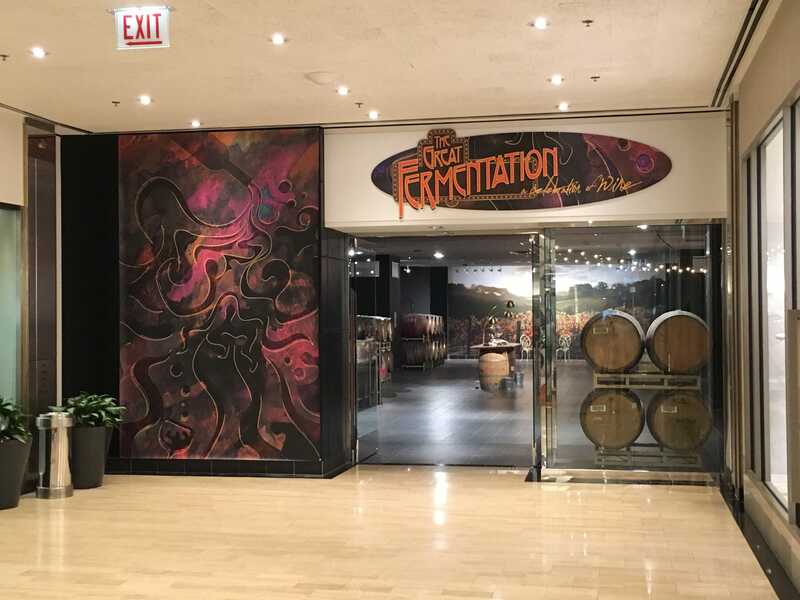 We delivered and installed all of the graphics so The Great Fermentation team could focus on setting up the rest of the shop for the flood of people excited to learn about wine! 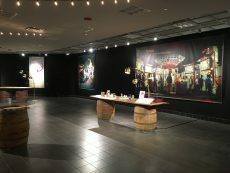 The large format 8’x12’ banner graphics, one assigned for each interactive exhibit, changed the room from a black box into an engaging environment with meaning and visual excitement. 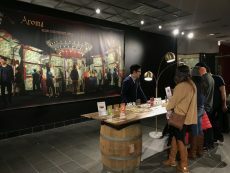 The wall graphic transformed the environment, making it so that the guests were quite literally transported to another place, in this case that other place was Tuscany, Italy. 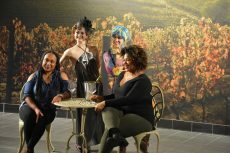 The guests instinctively were drawn to the image to take photos as if they were on a veranda looking over the vineyard. The excellent quality permitted such a delightful suspension of disbelief. We’re glad so many people could enjoy the event and we always look forward to working with great clients with great ideas!